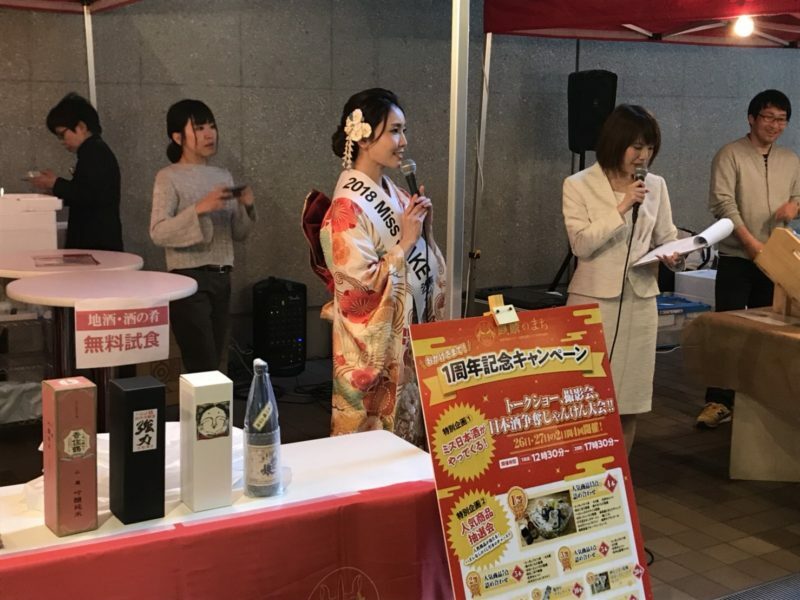 1 Aya Amelia Kodama, 2018 Miss SAKE JAPAN runner up, participated in the “Kirin no Machi Sake Fair” held in Nakanoshima Festival Tower in Osaka prefecture. 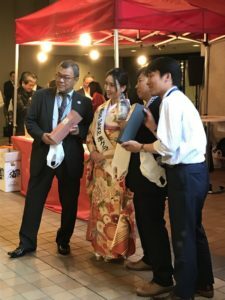 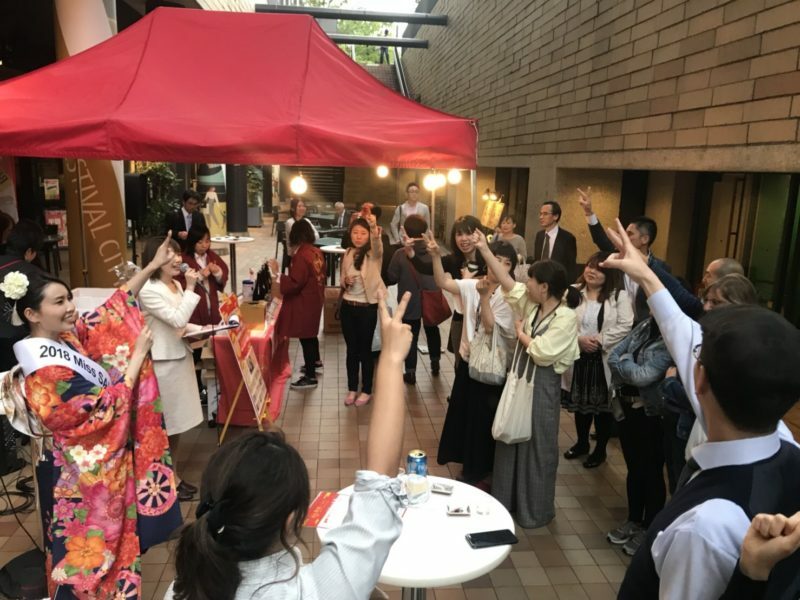 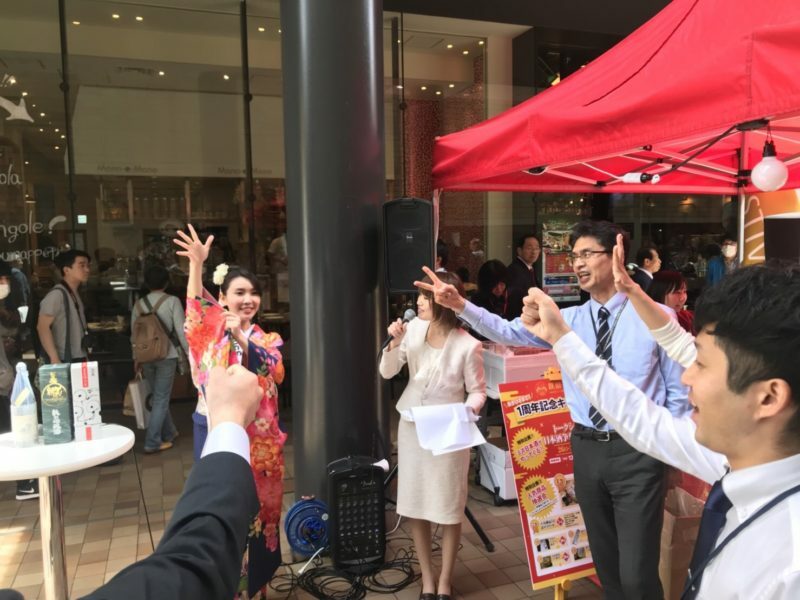 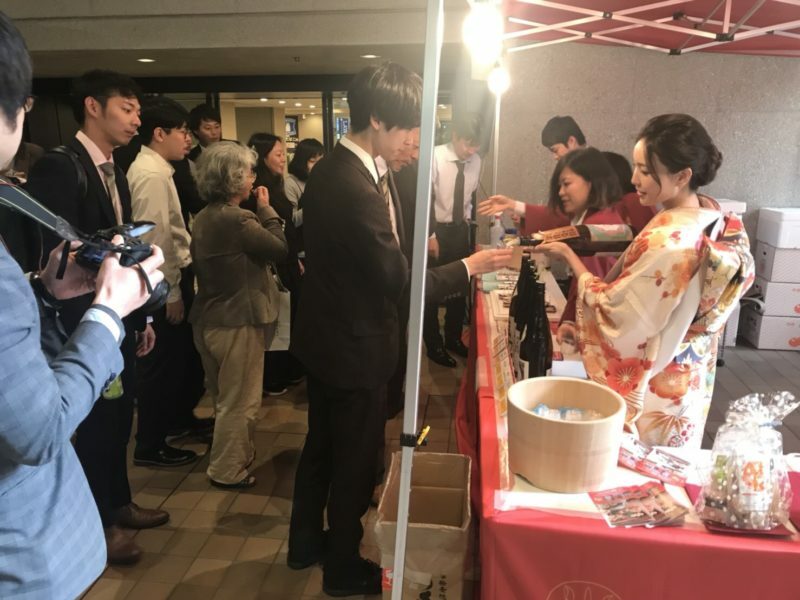 Aya Amelia Kodama, 2018 Miss SAKE JAPAN runner up, participated in the “Kirin no Machi Sake Fair” held in Nakanoshima Festival Tower in Osaka prefecture. Hello, everyone. 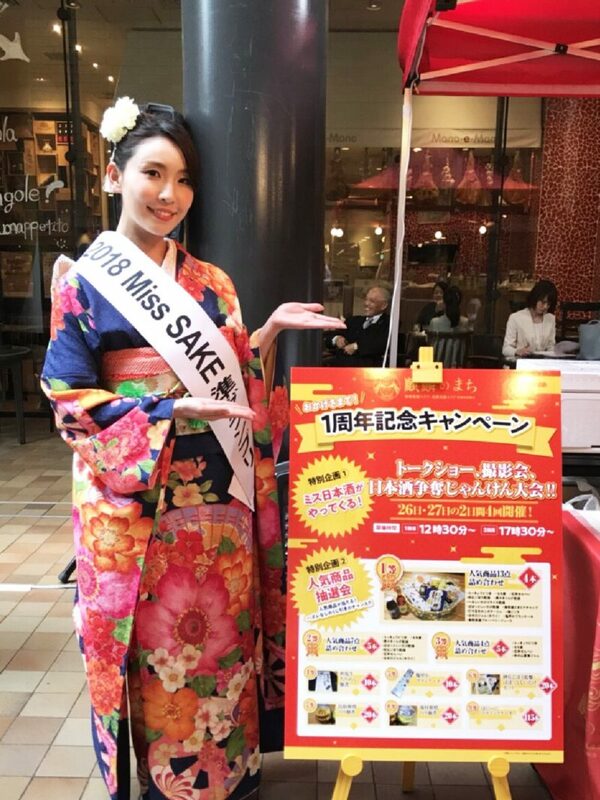 This is Aya Amelia Kodama, 2018 Miss SAKE JAPAN runner up. 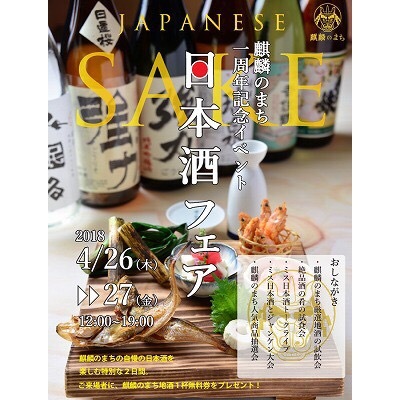 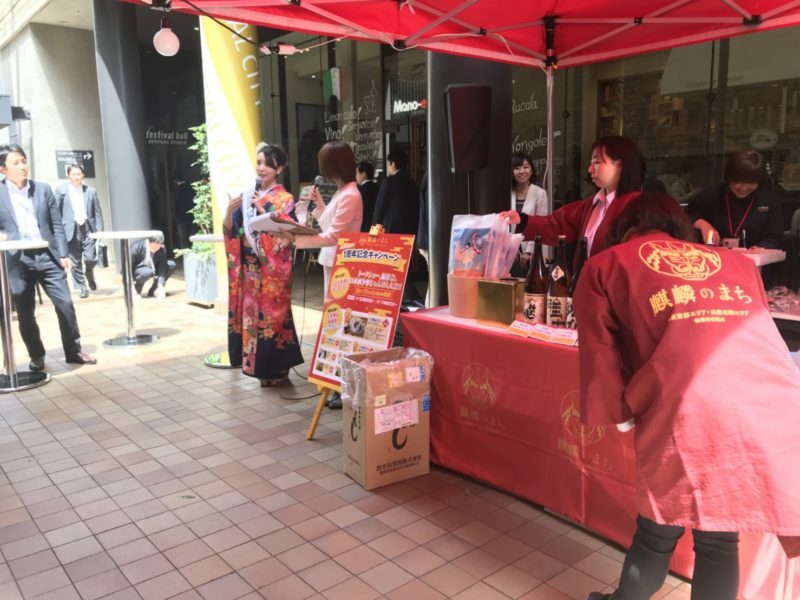 On April 26 and 27th, “Kirin no Machi Sake Fair” was held at Nakanoshima Festival Tower in Osaka prefecture and I participated as a guest. 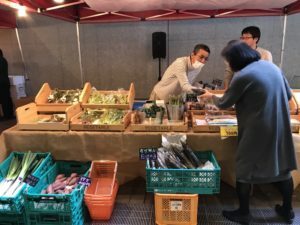 “Kirin no Machi (the Town of ‘Kirin’)” is an antenna shop of Tottori Prefecture and Hyogo prefecture and we can enjoy fresh ingredients, special products, and local sake there. 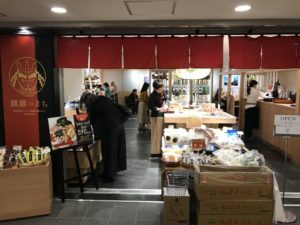 An eat-in space is prepared in the shop, where we can feel free to enjoy local ingredients throughout lunch and dinner. 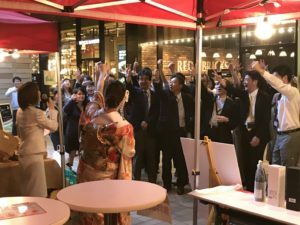 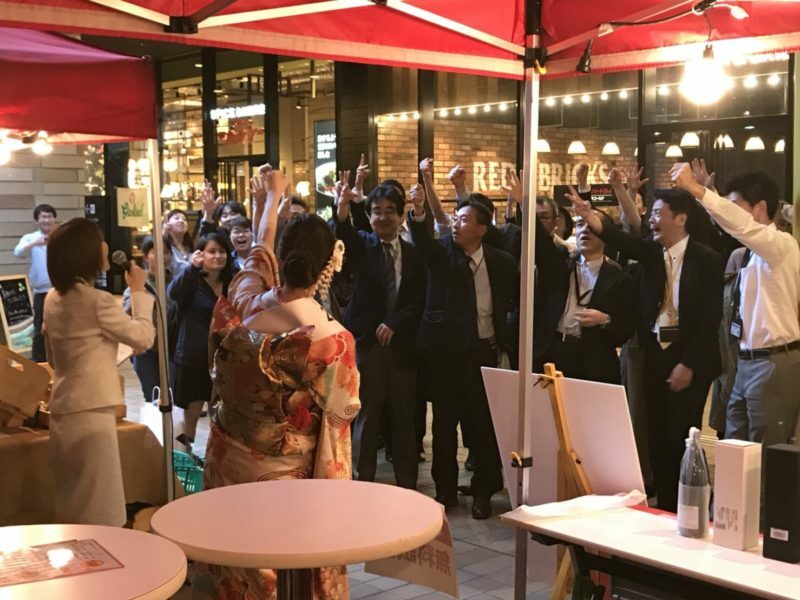 It was the 1st anniversary of the opening of this shop, so this event was held to celebrate it and to introduce the delicious food and sake to new customers. 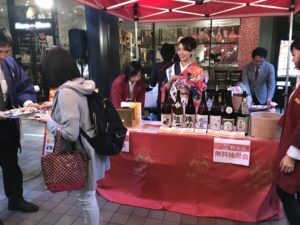 Local sake and Kirin’s popular food were prepared for tasting. 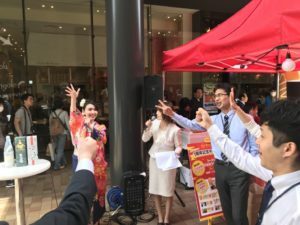 I was glad to see many people gather. I gave a talk show about the activities of Miss SAKE, as well as my impressions of Tottori sake. 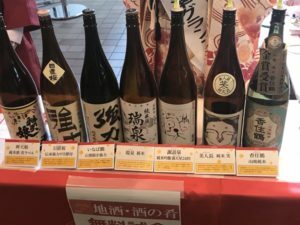 I gave some advices too about pairing local food with local sake. 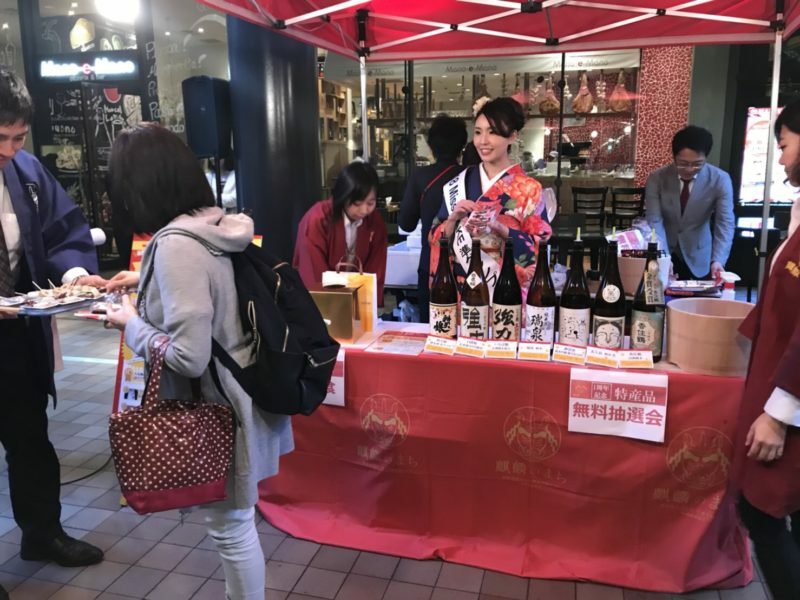 I felt greatly excited to see many guests enjoying their time tasting them and this event became a wonderful experience to get to realise everyone in Osaka to be very warm and friendly. 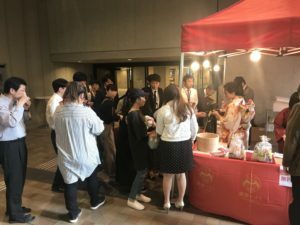 Thank you very much everyone, for giving me a chance to attend such a wonderful event.